When you first started your online business, your goal was to get a website up quickly with your basic information, some pictures and methods of contact if people were interested in your products and services. Now that you have seen some growth in your business, you need to alter your website to reflect that you have a serious business that you want to succeed and is easy for customers to use. The problem is that you may not have the skills or insight necessary to do this work on your own. You want someone with some vision and creativity to help you craft a website that shines for you. When you come to us at Websites Depot, we can give your site the creative edge it needs to help your business continue to thrive. In today’s DIY world, it can be very easy for you to go out to a company and craft a website of your own. They simply plug your information into a template and out pops your site, ready to go. The problem is that there is no room for customization and personalization to make it truly yours. At Websites Depot, we have the expertise of web design and development so that we can give your site the personal touch you are seeking. Each design we craft is specific to the client, so we can be sure to incorporate your particular vision of your website and business. We make sure that our company can provide you with all the services you may need for your website, making us a one-stop shop for you when it comes to online services. We can assist you with web design and development and make sure your website uses responsive design, so it performs well on smartphones, tablets, and mobile devices. We incorporate SEO into our services so that your site is sure to rank well in search engines, bringing, even more, potential customers in your direction. We can help with digital advertising, marketing campaigns, e-commerce, social media, security and more, leaving you to take care of what you are best at – running your business. With our help here at Websites Depot, you will find that your website can help you reach your business goals and grow. Take the time to look at our website at www.websitesdepot.com so you can learn more about the services we can provide you. 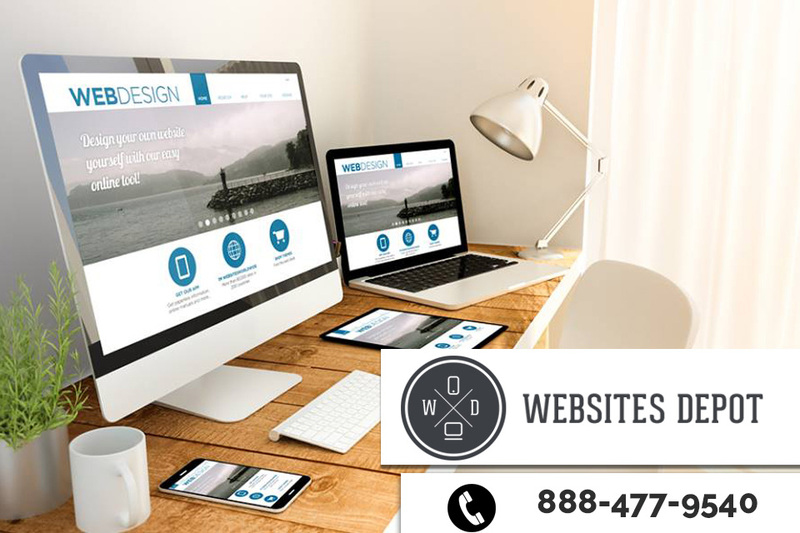 You can then give us a call for a consultation at 888-477-9540, so we can talk about your site, and you can learn how our creative team and experience can push your business to the next level and beyond.